SAVE 5% on bookings until 30th June 2019! Please print this and present it at the box office at One World Observatory for the next available time slot. Vouchers are valid for up to 1 year after purchase. Behold the incredible panoramic view of the New York skyline from the One World Observatory - the tallest building in the city. Get ready for an extraordinary experience – the state-of-the-art technology at the top will leave you in awe! It takes 60 seconds on board the elevator at the One World Observatory to reach the 102nd floor. That`s just enough time for a virtual trip through the past of New York! 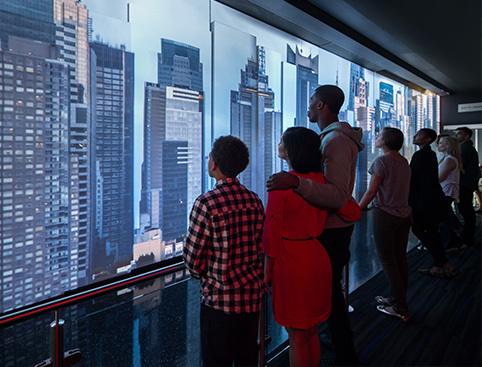 Immersive LED technology will show you the New York skyline’s transformation over the past 500 years. See New York like never before – admire incredible views from the entire city and try to spot as many famous attractions as you can. Needless to say – it’s a perfect photo location! 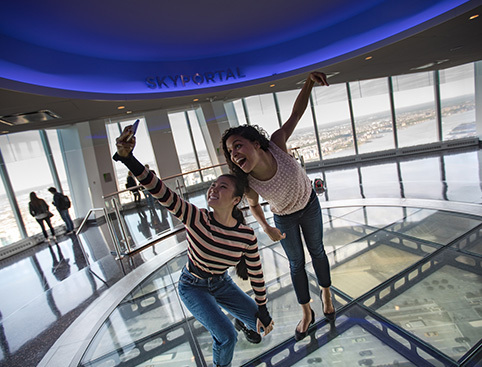 One World Observatory is more than just a view point. It also features state-of-the-art technology that would make Tony Stark happy! Watch your guide stand in the middle of a giant circle of LCD screens and witness how each motion of their hands brings a different real-time snapshot of the city on the video monitors. To make you feel truly special - the high-tech spectacle is complete with personalized recommendations. 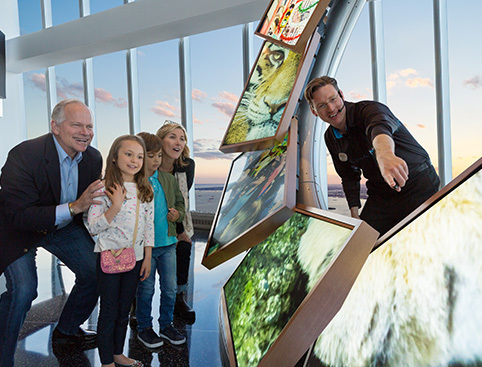 Feel your heart race, as you experience the view from 1,776 feet above right under your feet. Walk on a 14-foot wide circular disc which projects realistic real-time footage from the streets of New York below. 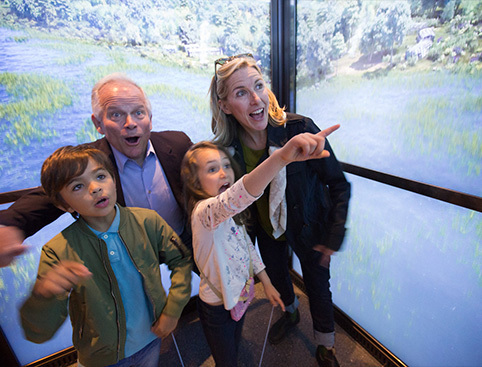 Don’t be surprised if you get a little bit dizzy - it looks exactly as if you were standing on a thin glass floor! 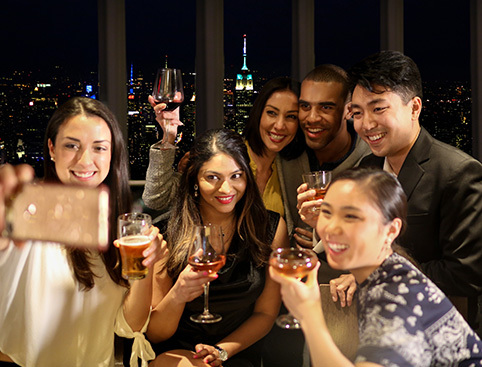 One World Observatory is usually open from 9am-9pm. Please check their website for the most up to date opening times for the day you want to visit. 285 Fulton Street, New York, NY 10007. You can access the observatory either via West Street (through the West Lobby) or through the underground pathway that connects the Oculus/Path train to Brookfield Place. One World Observatory is wheelchair accessible. Guests MUST go through a security check point. No large pieces of luggage are allowed to be taken in to the building. There are 3 restaurants located in OWO on the 101st Floor.